Monessen, one of our newest River Towns, is a city in Westmoreland County, Pennsylvania, United States. Located along the Monongahela River, Monessen is the most southwestern municipality of Westmoreland County. The city’s name is derived from the first syllable of Monongahela with the name Essen which was a well known iron town in Germany. Steel-making was a prominent industry in Monessen. While there were many companies operating in Monessen, the largest employer was Pittsburgh Steel Company. In a practice that is shocking by today’s standards (and not limited to Monessen), pay was determined by ethnic background. For example, a Welsh immigrant would be paid more than an Italian immigrant. Though the steel mills are long gone and the population has declined, Monessen is still a proud town and in the midst of a revitalization effort, including the step of joining in the River Town Program. Though a small city, Monessen is blessed with a number of fine restaurants including a number of great Italian choices – like Lucchesi’s and La Eda’s, as well as By George and Keystone Bakery, both local favorites. Monessen City Park includes a baseball field as well as an amphitheater where the city holds concerts and events and which is also available for rental. Constructed in 1931/32, the amphitheater had fallen into disuse until 2013, when the Raise Your Voice Campaign was launched by several students at Cal U to bring a music and arts festival, and summer concert series to the serene setting in Monessen. Monessen City Park also has a tennis court and walking track. In addition to City Park, Monessen also has six additional parks of varying sizes: 6th Street (Hillside) Park; Columbus Park Ball Field; Shawnee Park; City Soccer Field; 9th Street Park; and Motheral Park. Monessen is only 8 miles from Cedar Creek Park, a 479 acre park with access to the Youghiogheny River Trail section of the Great Allegheny Passage. 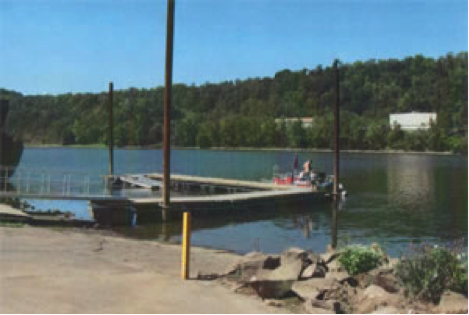 Located on the “Middle Section” of the Monongahela River, Monessen’s river access is well equipped and has bathrooms on site. Its boat launch was completed in 2011, and includes a fishing wharf. Farmer’s markets are held here as well as other events.